This US presidential election has perhaps been the most unique and controversial by all accounts. On one hand, it is possible that the US will elect Hillary Clinton as its first female president and on the other hand, there is Donald Trump, a billionaire who is quite unlike any Republican presidential candidate prior to him. It is not just the candidates who are unique, but the whole mood of the election is something that has been unheard of in recent years with both sides carrying out vitriolic attacks on each other. While the last presidential election also created worldwide interest, a distinct characteristic of this election is that a significant percentage of people are convinced that the fate of the world is at stake. Many people worldwide feel that a Trump presidency would spell doom for the world, while many other people feel that a Clinton presidency would be far more dangerous globally. Recently, Donald Trump even went as far as to say that a Clinton presidency would bring about World War 3. It is something that is on everyone’s mind; which candidate would be better towards making the world a safer place? There is a lot of discussion about who will win the election. National polls are predicting different results. While it is tempting to get pulled into these speculations, if one steps back from the drama and looks at it from a spiritual point of view then there is more clarity. The candidate who is elected will be elected as per his or her destiny from past births. There is no amount of campaigning or persuasion on either side that will change that result. However, there is also the collective destiny of the nation and the world to consider. SSRF has gone on record many times and predicted that World War 3 is coming and is literally around the corner. In the beginning, it will seem like there are just some small isolated wars and skirmishes. Later, things will escalate and look like World War 2 in intensity. At the end, as some countries stare defeat in the face, in desperation they will choose to deploy nuclear weapons of mass destruction. This will drag the whole world into a full blown nuclear conflict. The US too along with other countries will be pulled into the conflict. So regardless of who is elected, either Hillary or Trump will have to bear the burden of leading the US into World War 3 and will have press the ‘Nuclear Button’. It is understandable that this may come as a shock to you, as it did for me. In this dismal scenario, is there any way out? Just the other day, my cousin and uncle had a heated argument about their preferred presidential candidate. As I heard the argument I could not help thinking that it was an exercise in futility. If as per destiny, the next US President is predecided and World War 3 is inevitable, then the only thing left for me or anyone else to do is figure out how to best protect ourselves from these terrible times. In the face of such a catastrophic event, Saints have said that only Divine intervention or God’s grace can save us. I have learned through SSRF that God protects seekers who make honest efforts to grow spiritually. I have experienced that there is only an upside to practicing Spirituality; apart from protection and insulation from painful events, one experiences a substantially better quality of life. Dear Alen, A warm welcome to SSRF site. Would it be possible to share more, we did not understand your question. If you are asking if World war 3 will be in addition to what we have to go through due to our destiny, Yes, World war 3 will have happenings more at the collective level. If you can share in more detail? who are different between subtle war, psychological war, and physical war? a strong earthquake in Pakistan has not happened yet. 2016 -Strong earthquake in Pakistan. tell me ,dear, explain to me ,because of spiritual practice saints ? Dear Rihon, We have replied to your this same question on the Youtube comment section of SSRF youtube page where you have posted it as well. Hope that helps. well you people can get an say spirital things will start a war wrong only man can start and i have never seen god or a spirit stop a war so come down from heaven and get into the real world god or no spirit has ever started or stopped a war and i have never seen god pay rent or give food to anyone only the goodness of man and that is who will start or stop a war. They’re both idiots… Hillary would get us directly involved with the Palestinian and Ireal conflict, and we probably would have already been in WWIII if she was elected. Yet how could you vote for an idiot like Trump who direspects women and minorities so much? I have never casted a vote because no matter who is elected, the poor will stay poor yet the bombs will continue to fly and it’s our choice to elect a president. If no one votes then there is no government to keep starting wars… How could I vote to elect a president of a country that has military bases in every part of the world because it superficially “cares” about people (They really just want power and $$$$)? Thanks to SSRF i know that only Saints are capable of running a country. It’s a nice article Auritro, you seem to have matured a lot in your writing and outlook. Dear Matthew, We will convey your message to Auritro. You are referring to the Blog, is that correct? Dear Matthew, It is nice that you find SSRF teachings helpful and knowledgeable in the articles and blogs relevant and useful. hello ,end of the world war 3 will be nuclear war ? World war 3 will be nuclear war,during the time of reign the president donald trump ? World war 3 culminate in nuclear war or not happen nuclear war ? Dear Viljam, Nuclear war will be one of the gross manifestations of the ongoing subtle war between the Good and evil. Many of you have found this blog useful as a way to increase awareness about the Third world war. I see that answers to most questions and 90% of articles on this website are based on “Advanced Sixth Sense”. I read the entire article on “Advanced Sixth Sense”. But the article that explains this “Advanced Sixth Sense” is very rudimentary. If the “Advanced Sixth Sense” is above and beyond intelligence, what ever that is perceived through this , how is it getting translated to what common man understands? What is accuracy of this translation? especially the numbers like 50% of population will get wiped out? What is the historical accuracy of this “Advanced Sixth Sense”? If people with “Advanced Sixth Sense” are drawing pictures and later these pictures are getting translated into words, how this translation happens? If the nuclear radiation spreads out the entire planet and all countries, how is it even possible that 50% will get survive? nature hardly ever work the logical way that humans think. I read on this website that Astrological prediction are not accurate. My 2 cents on this: Astrological Science is part of Vedic Scriptures. One of the Astrological text “Parashara Hora: is written by great sage: Parashara, who is the father of sage Vyasa, who translated the vedas and divided into 4 of them and wrote innumerable scriptures. I am not trying to argue, I am trying to understand / gauge the accuracy of this “Advanced Sixth Sense”. Please see our articles on Methodology of Spiritual research and Spiritual knowledge to understand more about this topic. Welcome to SSRF. Please see our article related to WW3 at this link. We hope it answers your question. 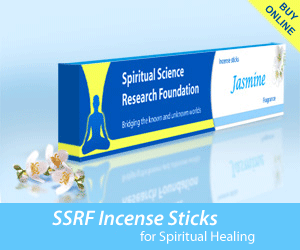 I hope ssrf message reaches every corner of this earth. I will definetly do my chanting of gods name despite whatever material desires i have. The rest is in gods hands. per his will at right time my material desires will drop but until then i will give effort towards both. Thank you again for answering all my questions and for your leading role in guiding us towards this mini satya yuga within the dark age of kali. will main physical war begin in 2018? Major things in the life of all people are happening due to individual Destiny and when this includes some very responsible role for society (like in this case) then it can be in the line of collective destiny or Divine plan. Thanks again for all the work you do! you are truly a treasure of bliss and knowledge. I have two remaining questions for you. 1) precisely what year will the nuclear weapons be unleashed on globe? It seems like your most recent article states 2018 but your intensity bar graph indicates 70 units in 2017 but less in 2018. Some also indicate it maybe next year. How to know with clarity? 2) second i am chanting the name of god as a shiva devotee.The saint ramana maharshi is a great inspiration to me. However even as i chant i have strong unfulfilled material desires so i am also doing material affirmations as well. I convinced myself if i survive ww3 i will drop the material and simply continue on spiritual. But if i die then at least these thoughts may give me a better material life next lifetime. ofcourse i want moksha but my mind also desires fulfillment of material desire in a lifetime or two and then concentrate solely on spiritual with a empty mind. I don’t know? I feel material and spiritual progress can be made but i know in end i have to give up material. Any thoughts on my struggle? sorry for long question. Thanks for any help! 1)In regards to the less units in 2018 it is not only meant for physical world. In present moment there is very big battle between positive and negative energies on subtle level and in world, but all of that is actually ‘behind curtains’ i.e. it is not visible grossly so much. When it come grossly will be just an outcome what is happening now. How and when it will happen exactly, we will witness. The most important part is that we can do spiritual practice in order to progress spiritually and have stability of the mind for situation that will come and to live more happier and blissful life. 2) It is normal to have desires for material. If one does spiritual practice according to the 6 basic principles and slowly and steadily tries to increase it, then naturally desire for God will increase and for materialistic things will decrease. We would suggest you to share questions about spiritual practice through our login facility, since you can get more detailed answer and guidance. Hillary may win because this will be destruction of kaliyug…. At the end Hillary did not win those elections. Like it is explained in the article, all happens as per the destiny and how it is predicted no matter who wins on elections. We are around 5500 years in Kaliyg era and this era will lasts 432.000 years. So in that sense destruction of the Kaliyug is still far away. We are in the mini cycle of Kaliyug within the big Kaliyug cycle. You can read more about it in this article. What is most important for us is doing spiritual practice as only God can protect us and give direction during present times. Have you read “The Holy Science” book by Sri Sri Swami Sri Yukteswar Giri? We did not read it. On internet it is shared that book is about how all religions are sharing about one and same goal and that all scriptures speak about One and same God. On our website we are sharing the same since we recommend for the beginning that a seeker starts to chant the name of God as per the religion of birth and starting a process of personality defect removal.